Citizens will be able to talk with employees from Emergency Management, 9-1-1 Consolidated Dispatch, Charleston County Building Inspection Services, National Weather Service and flood insurance experts about natural hazards in the Lowcountry. There will also be various training classes, presentations, and a kid’s zone. 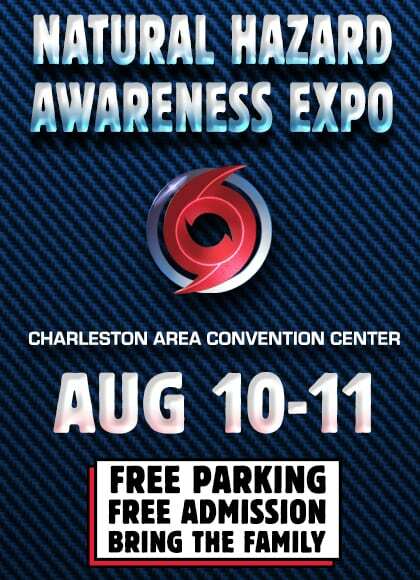 Citizens are encouraged to bring their elevation certificate to the expo and representatives from Charleston County Building Services will assist in looking up property with the new flood maps.